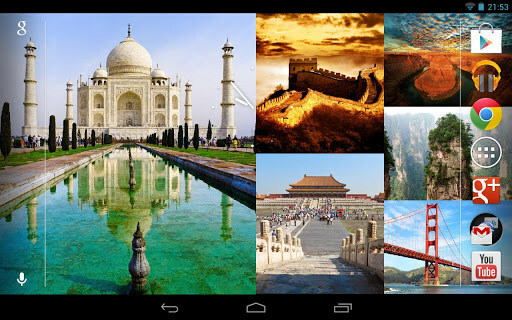 Photo Wall FX – Soft for Android 2018 – Free download. 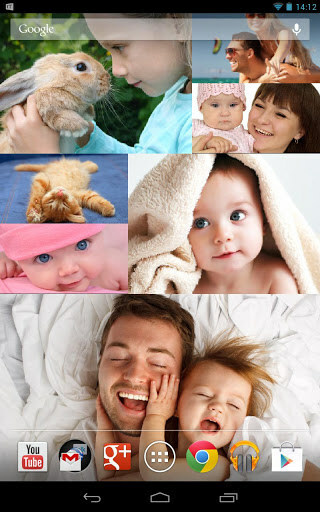 Photo Wall FX – Wallpapers made out of your photos. 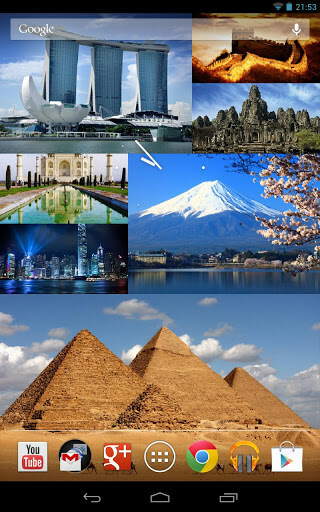 Photo Wall FX - it is very easy to use and powerful program to create unique live wallpaper. They are unique because they work as the photos will be used photos from your photo album on your phone. Using the software, you can create a fascinating collection of the most important moments of your life that will always be before your eyes. 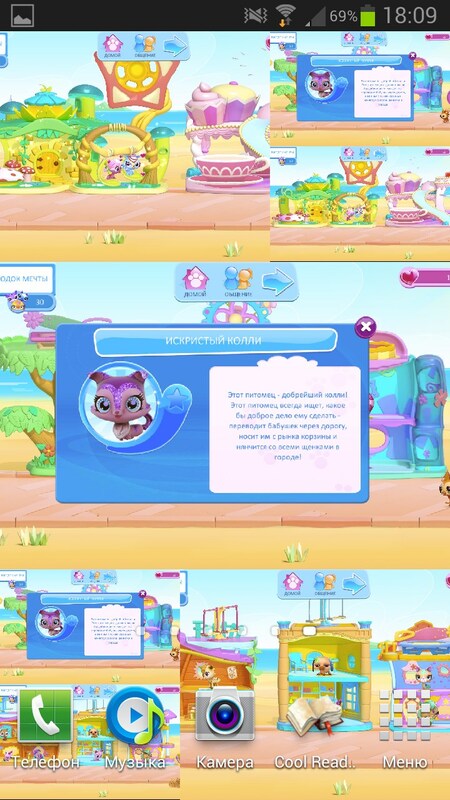 Engaged in developing a game studio Handy Apps Inc, we know very well on a very popular and powerful personal finance manager EasyMoney . The program supports all resolutions and formats of devices (tablets, smartphones), and it also has a lot of cool features that allow you to interact with live wallpaper. 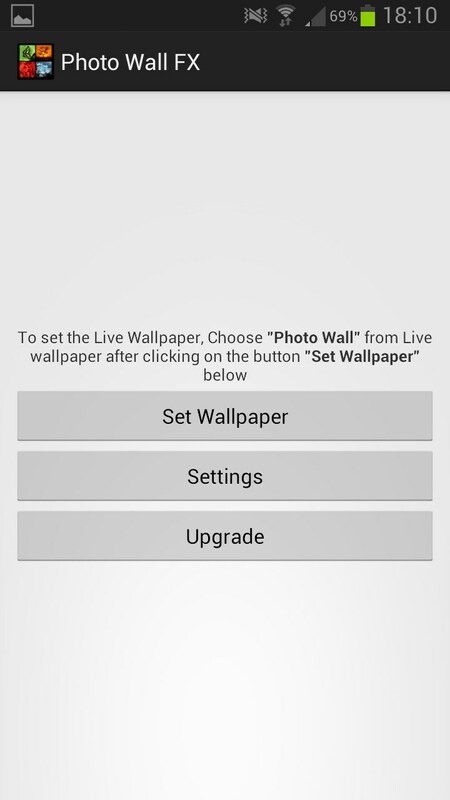 All you need to do is install the Photo Wall FX, then go into the program and select the necessary live wallpaper. 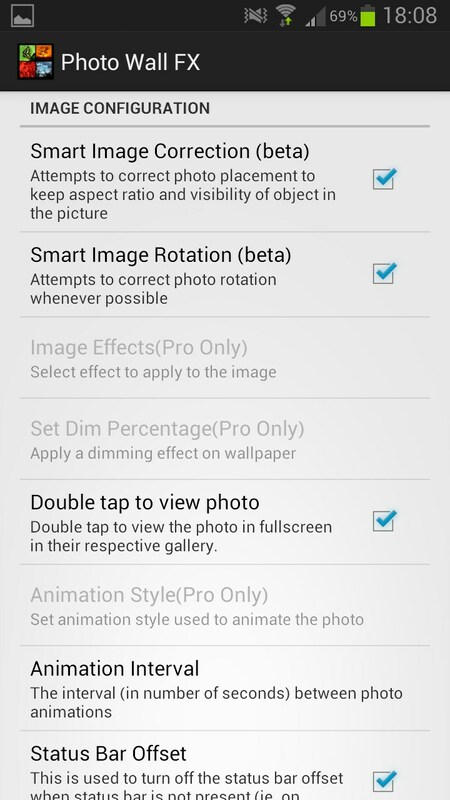 Further configuration is done from the "Setup" menu, which appears when selecting the live wallpaper. The most important point - it is a choice image sources "Set Image Source". 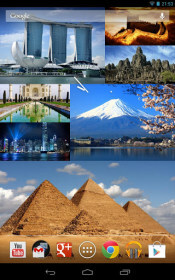 By default, the free version only select one folder, and provides an opportunity to select seven specific photos to create the live wallpaper. To manually select the desired album and specify an infinite number of photos, you must unlock the Pro-function, is being done by the internal purchasing the full version of the program for 30 rubles. The program also can set the style of animation and the frequency with which they occur. 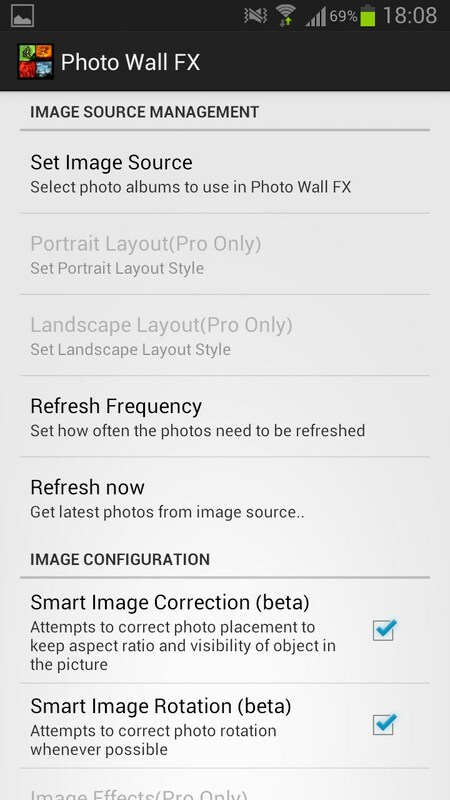 Optionally, you can set the length of time after which will be completely replaced by a set of photos. When watching the live wallpaper on your desktop double-tapu (press) to open a specific picture and examine it more closely. One of the important points for all live wallpapers - this effect on battery power. We personally checked and made sure that the Photo Wall FX nor consumes the battery, especially when compared with the standard live wallpapers on Samsung Galaxy S III. Photo Wall FX - is a great way to decorate your smartphone or tablet with memorable and beautiful photos into a beautiful living collage. The disadvantages of the program include the severe limitations in the free version, which can not be entirely due to see what of the application. Rule your kingdom in RPG!